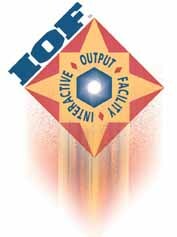 Since 1982 IOF has been providing IBM mainframe management support to leading companies around the globe. This time-tested product has long served as the backbone interface for TSO and CICS users to the basic JES2 features and functions supplied by IBM. The breadth and flexibility of IOF have made it extremely popular with operators, systems programmers, production control facilitators, and applications programmers. Here are just a few of the companies that are using IOF to display and control their critical applications and reports. IOF's ease of use and customization capabilities, combined with its unparalleled programmable interface, has made it an indispensable tool for recognized companies around the world. To top it all off, customer surveys show that the IOF technical support staff continually gets excellent ratings for availability, knowledge, and responsiveness. The bottom line is that IOF's loyal customers understand its significant added value for managing mainframe applications and reports.